Your employees, customers, and guests want to experience a clean and hygienic environment at all times. Provide them with Purell gel hand sanitizers and wipes. We offer hand sanitizer bottles, wipes, dispensers, and refills for reasonable prices. Whether you want a manual or automatic dispenser or hand sanitizer bottles, we have the products to help you impress your customers. How Does Hand Sanitizer Work? Basically, a hand sanitizer works by striping off the layer of oil (sebum) that forms naturally on your skin through excretions of your sebaceous glands. This oil is designed to protect and hydrate the derma (skin) and traps bacteria and viruses in this oily film. Whenever you use an alcohol based soap or hand sanitizer, you are applying a solvent to the skin to break down the sebum, which is why some people who don’t moisturize after using hand sanitizer will develop cracking in the areas where it is consistently used. As stated above, bacteria and other germs are often trapped in the natural oil of our skin. Hand sanitizers utilize primarily ethyl alcohol to neutralize these foreign bodies and strip them away from our skin. Honestly, you don’t need much. In most cases a dime sized amount, when rubbed on the hands thoroughly and allowed to set for 30-60 seconds, will destroy up to 99.999% of all bacteria and fungi spores on your hands. Using too much too often can cause adverse skin reactions and cracking that may require medical treatment if not properly addressed. How Does Hand Sanitizer Go Bad Or Expire? Hand sanitizer doesn’t technically go bad. In most cases, you will see about a 3 year “shelf life” on hand sanitizer products and this is largely due to the fact that the alcohol content must be above a certain threshold for it to be optimally effective. In this case, most hand sanitizer products like Purell contain a 70% ethyl alcohol content for sanitization and since alcohol evaporates over time, the “expiration date” is largely a best guess by the manufacturer on when the alcohol content will evaporate to below 60%. As long as your hands are not visibly dirty, hand sanitizer is effective in further reducing and eliminating additional germs and bacteria that may be present on your hands. This isn’t to say that normal hand washing as part of a hygienic practice can go ignored. It is important to note that hand sanitizer does not eliminate all germs. The main ingredient inside hand sanitizer is generally ethyl alcohol. In order for this element (which is a main part of hand sanitizer) to completely freeze, the temperature must be below -174 degrees F. Since ethyl alcohol makes up roughly 70%+ of the contents in hand sanitizer, it may be possible for the other parts to freeze at a much higher temperature. Will Hand Sanitizer Kill The Flu? It may. Studies have shown that Purell is able to eliminate the flu virus in a lab setting; however, other studies are saying it may not be 100% effective. It is important to note that the main transmission of the flu virus is via mucus membranes by direct and airborne transmission. Therefore, touching your eyes, nose, and mouth with dirty hands can introduce the virus to the body which makes hand hygiene extremely important during flu time. It is advisable to wash hands properly and utilize hand sanitizer during times where immune systems may be suppressed in the environment around you. Will Hand Sanitizer Kill Viruses? In general, yes. In many cases, hand sanitizers are able to kill most viruses including the flu and HIV if the hand sanitizer alcohol content is 90%. It is, however, ineffective against rabies. Will Hand Sanitizer Kill You? If used as instructed, hand sanitizer is considered as safe to use topically. It is never smart to ingest hand sanitizer as it could cause organ failure and lead to death in some cases. Will Hand Sanitizer Kill Scabies? While the World Health Organization is championing using hand sanitizer as a pathogen transmission interrupter, the actual results of using hand sanitizer in this manner is one for debate. There are those who say different things in regards to killing scabies and there hasn’t been enough scientific research done to prove one way or another. Will Hand Sanitizer Kill Norovirus (Stomach Flu)? Per the National Institute for Health, it is possible for hand sanitizer to have an impact on the transmissibility of the norovirus; however, routine hand washing and proper protective equipment is the ideal way to best combat this virus. A hand sanitizer with a lower alcohol content will have less of an impact on this virus verses one of a higher concentration. Will Hand Sanitizer Kill Herpes? As part of a topical prevention solution, an alcohol based hand sanitizer can kill the herpes virus if the concentration alcohol in the hand sanitizer is high enough (65% or more). It is also important to note that in no circumstance should hand sanitizer be applied directly to an open herpes outbreak. Doing so doesn’t not “sanitize” the area indefinitely and could cause more issues compared to other standard treatments. Will Hand Sanitizer Kill Lice? Will it kill them? Not by itself, but hand sanitizer can be used in the removal of lice in the event of an outbreak. The alcohol content inside the hand sanitizer dissolves the “glue” lice use to attach nits to the hair follicle. When combing out nits, apply a generous amount of hand sanitizer and let it sit for a few minutes before combing out the nits with a comb specially designed for lice removal. Will Hand Sanitizer Clean A Cut? In theory, since Purell and other hand sanitizers have an alcohol base, many would assume that it would be ideal as a first aid item for cleaning cuts. However, this is not the case and using hand sanitizer to clean cuts and other open wounds could actually cause more damage to the cells repairing the wound. In this situation, stick with normal soap and water. Will Hand Sanitizer Damage My Ring? No. Unless the ring is of poor quality in either metal or craftsmanship, you should see no damage to the metal of the ring. Gemstones may become hazy due to the hand sanitizer removing skin cells and the build up dead after multiple uses may end up requiring more cleaning. A basic jewelry cleaning will restore the ring to the normal shine. Can Hand Sanitizer Cause Eczema? Consistent use of hand sanitizer can escalate hand dermatitis, also known as hand eczema. In most cases, this condition is caused by either a predisposition to eczema or contact with an irritant/ allergen which leads to breakouts. Because hand sanitizer contains alcohol and strips the protective oils away from your skin, you may see an increase in outbreaks of hand eczema during times of frequent use. The best solution for those who are required to use large amounts of hand sanitizer on a regular basis is to properly moisturize after each use to help coat and protect the damaged skin. Possibly, but government agencies are confused on the topic. The Food and Drug Administrations says no, but the Centers for Disease Control says yes. Can Hand Sanitizer Kill Fungus? In most cases, yes as long as the hand sanitizer has a high enough alcohol content. There are a few types of fungi it may not treat and potentially make worse. Fungal infections like jock itch, athlete’s foot, and toe fungus all require a specific type of fungicide in order to treat these conditions properly and utilizing hand sanitizer for these treatments could cause the condition to worsen. Where To Buy Hand Sanitizer In Bulk? Right here at TouchFree Concepts. Not only do we offer some of the lowest prices you will find online, we even ship it to you for FREE if your order is over $50. Which Hand Sanitizer Is The Best? In our expert opinion, we stick with the creator of hand sanitizer, Purell. GOJO is the leader in hand hygiene product and created Purell with a large amount of lab testing on what the product can actually do. Without Purell, the prevalence of hand sanitizer in our society today would not be where it is at today. What Hand Sanitizer Is Used In Hospitals? That will depend on the contact the hospital has with their supplier, but more often than not it will be a Purell hand sanitizer of some sort. Some hospitals have even the same type of hand sanitizing products we have here at TouchFree Concepts. 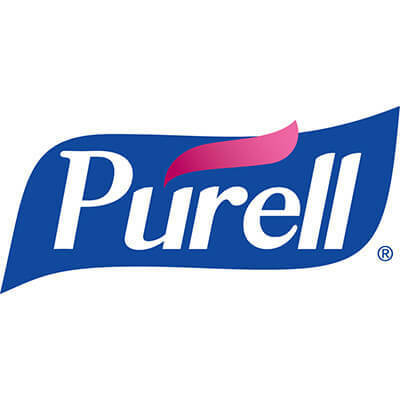 Purell was one of the first hand sanitizers on the market using alcohol base as the main catalyst. Created by GOJO, Purell quickly became a household name and is known as the industry standard in alcohol based hand sanitizer. Why Is Hand Sanitizer Flammable? Due to the large amount of alcohol that is used as the sanitizing agent inside hand sanitizer, the products will vary in level of flammability based on the percentage of alcohol in the hand sanitizer itself. To reduce the risk of fire, users are encouraged to ensure the hands are dry which is a clear signal that the alcohol has fully evaporated from the hand sanitizer itself. It is important to always treat any hand sanitizer as you would with any other flammable item.